Looks like Simon at Hipster Nascar has been busy. 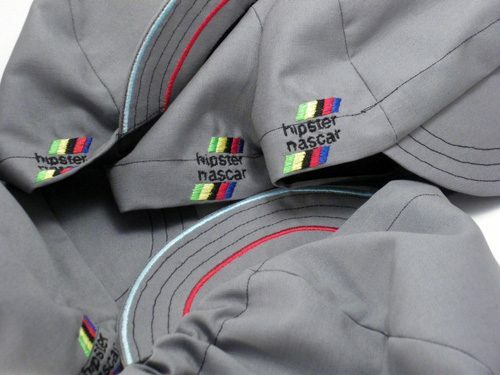 He enlisted the people at Cognition to make a limited [really limited, like 10 made] edition Hipster Nascar caps. Looks really great! Now make some for the big-heads out there!